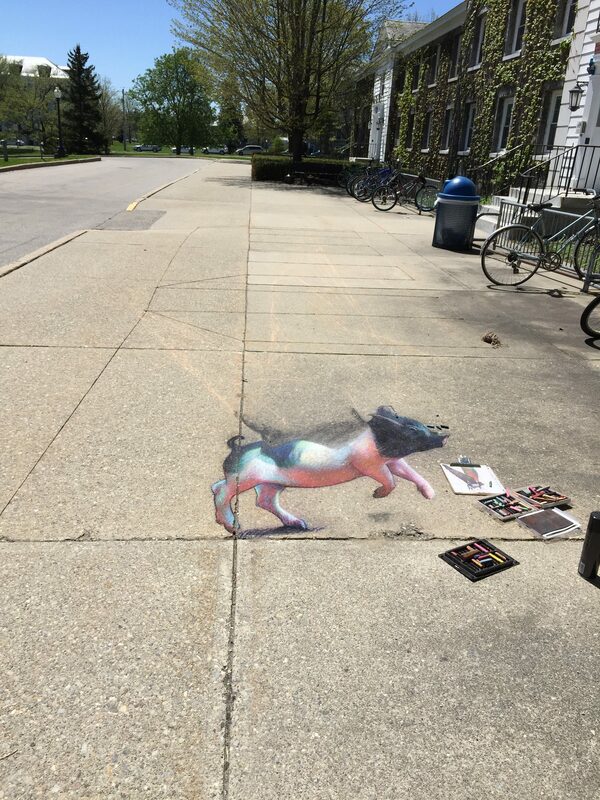 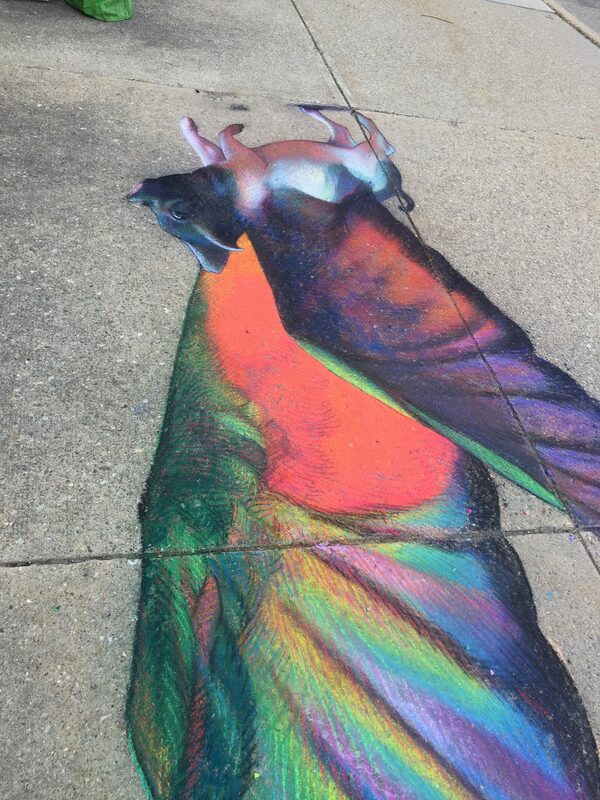 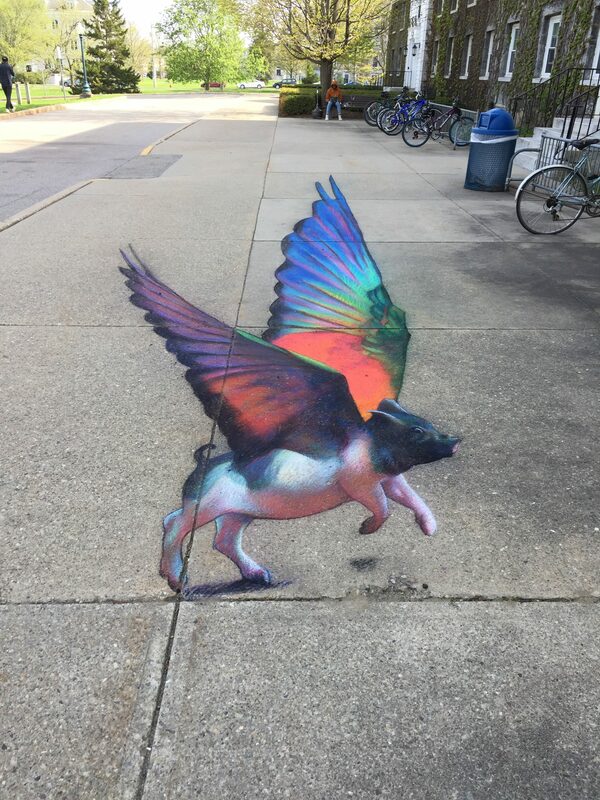 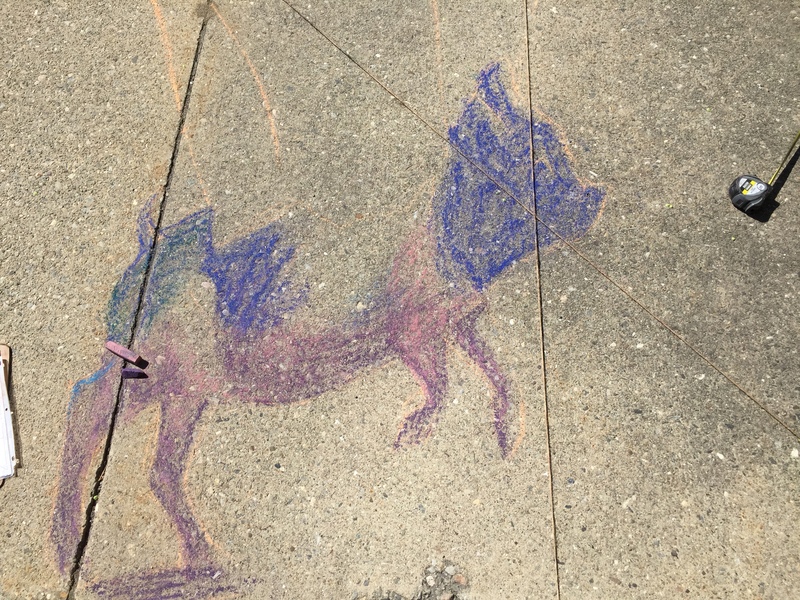 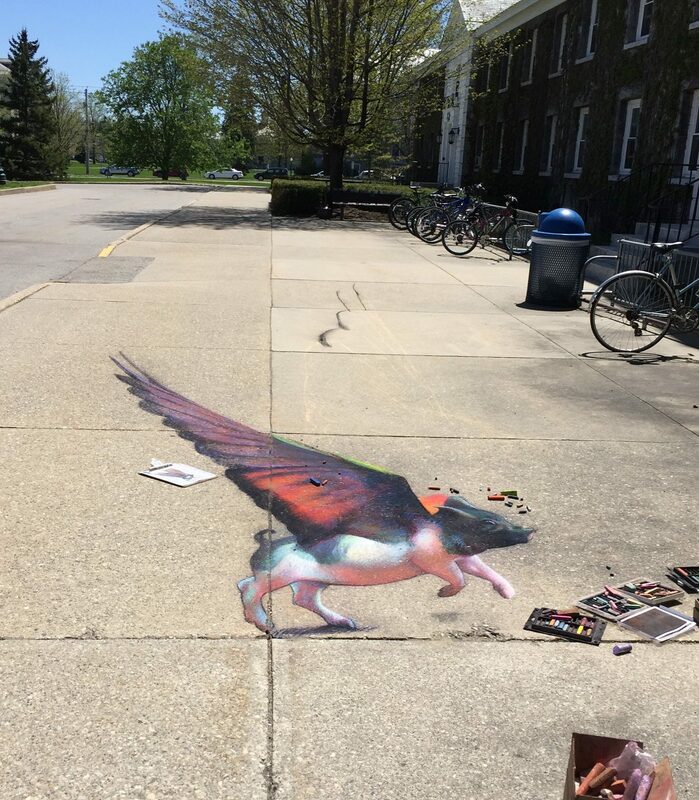 Taking Flight, 11 May 2018, chalk and pastel on pavement at Middlebury College, 33′ x 9′, 8 hours. 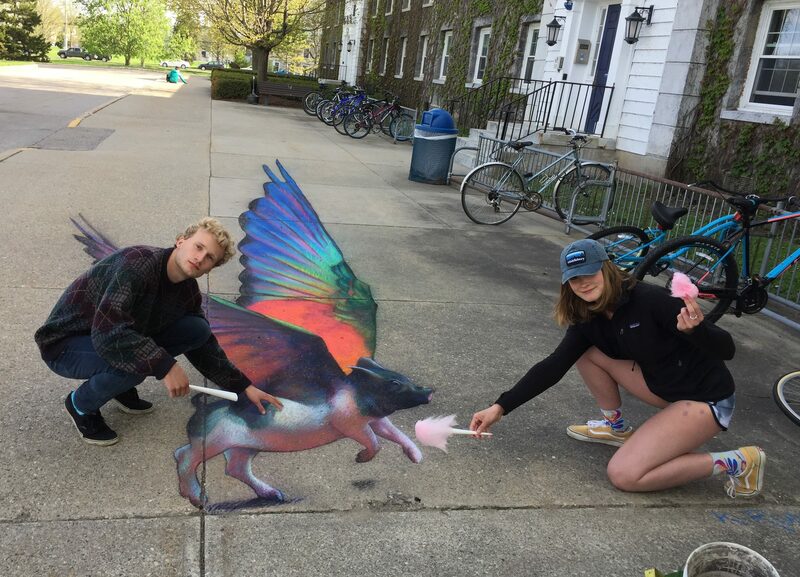 …Because even flying pigs need some TLC! 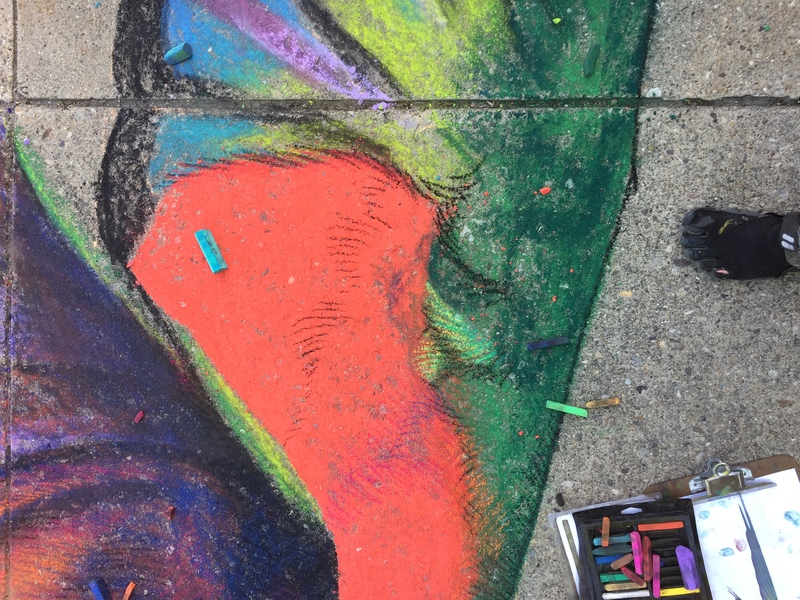 Thin underlayer rubbed into the concrete for a base. 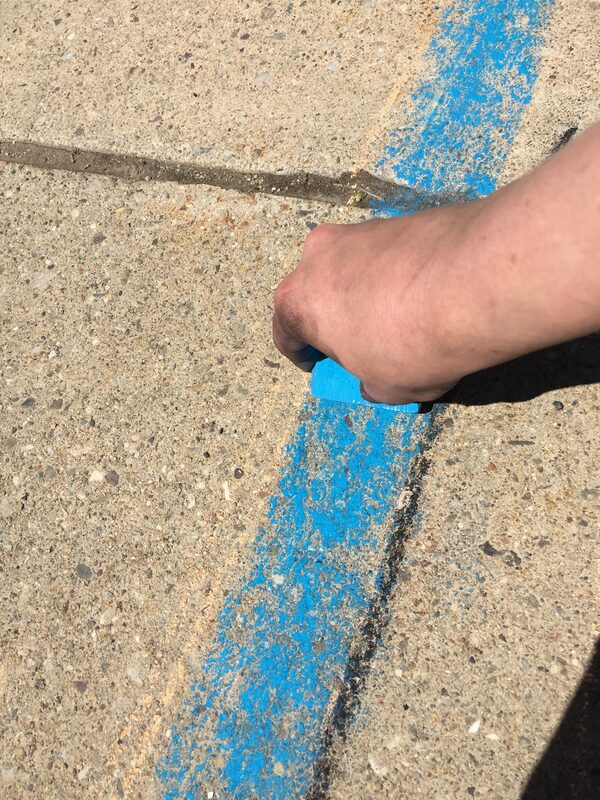 Check out the clipboard…that’s where it all begins. 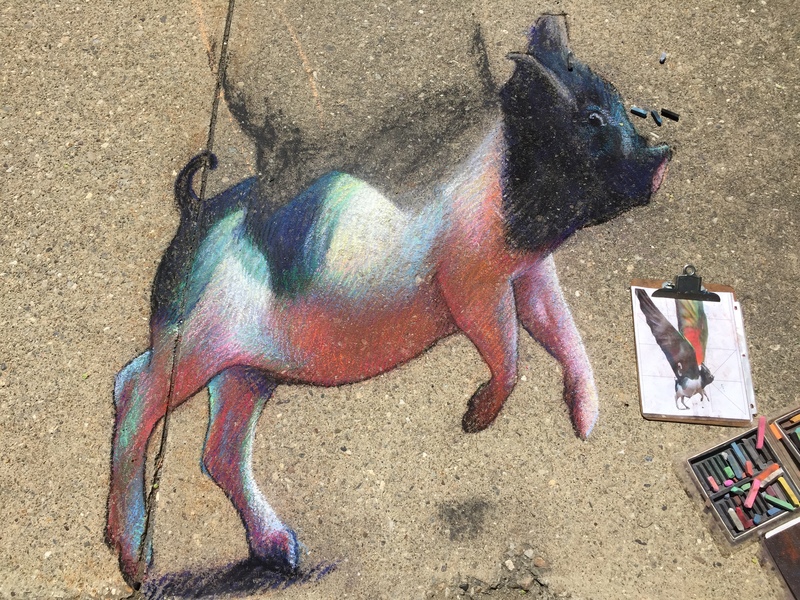 You never have quite the right colors, so mixing via cross-hatching allows unexpected colors to interact to create a sense of motion, light, and even…the overall color you were looking for. 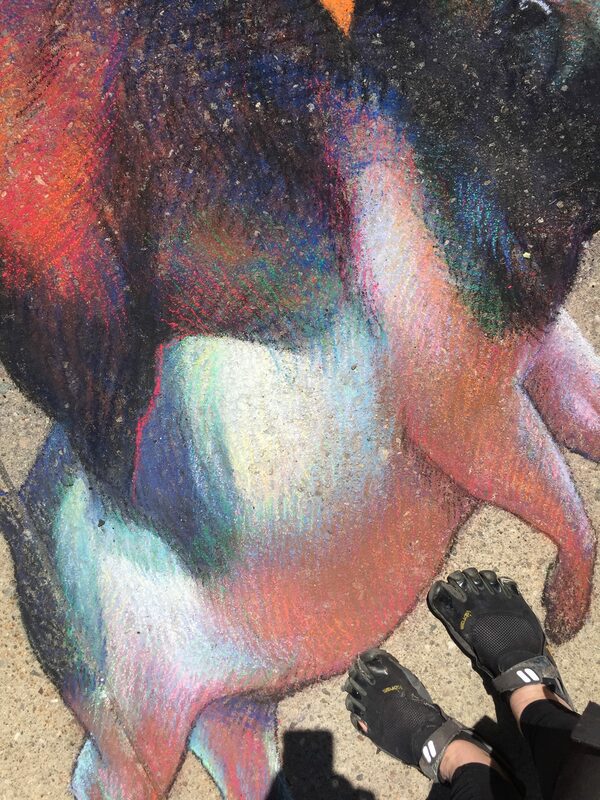 Dirty feet for scale. 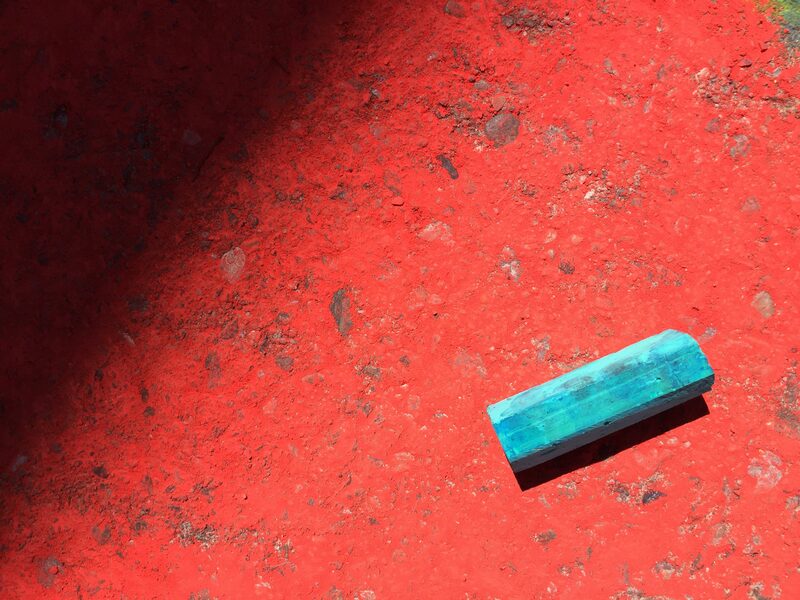 …but then again, some colors are just so lovely all on their own! 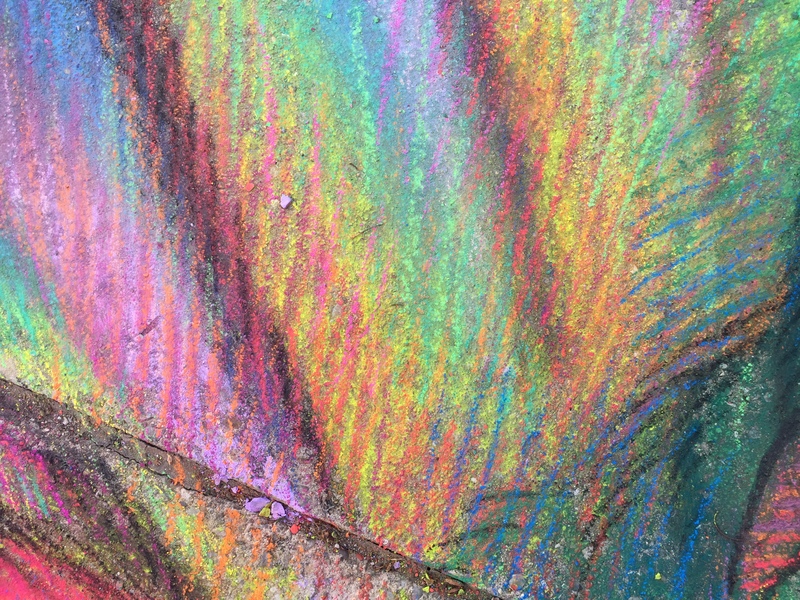 I very much enjoyed going wild with this particular section! 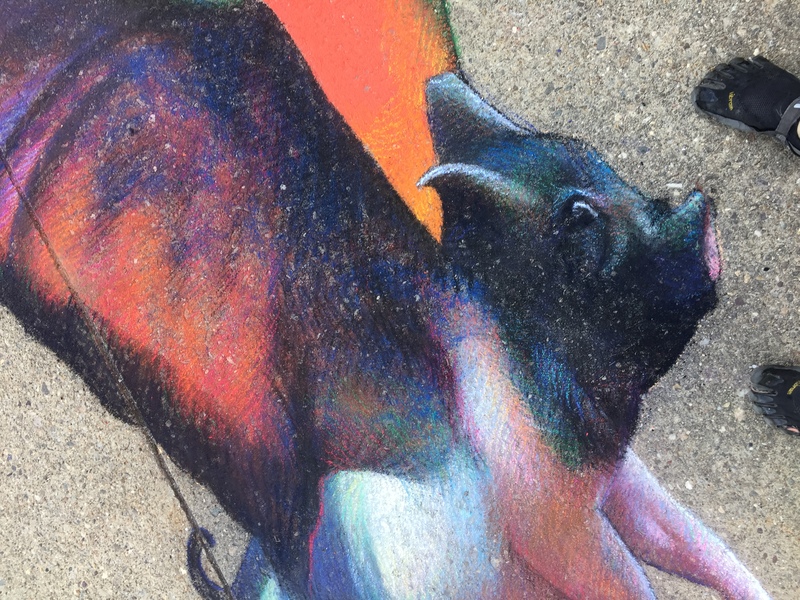 These are bee-eater wings, and I chose them for how gloriously colorful they are!